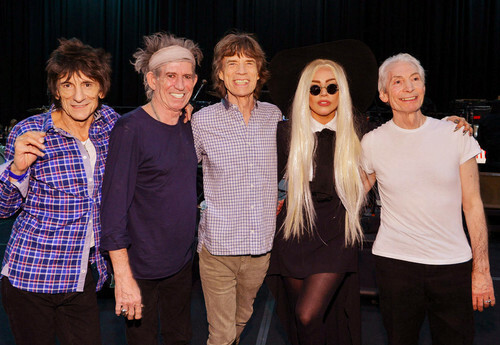 Gaga at rehearsals with The Rolling Stones. The Rolling Stones and Lady Gaga at rehearsals for the Stones' Dec. 15 One 더 많이 Shot show. HD Wallpaper and background images in the 레이디 가가 club tagged: lady gaga 2012 photo rehearsal the rolling stones. This 레이디 가가 photo might contain 초상화, 얼굴, 근접 촬영, 얼굴 만, 세로, and 헤드샷.